The construction business is booming, and if you’re in construction, you’re in a great position to see your business thrive — but only if you have the right business plan. For construction company owners, knowing how to run a construction business may not be enough. You need to know how to get more business in construction to take advantage of the demand. That may mean taking on a construction business coach. What Can Construction Consulting Do for You? Whether you’ve had a family construction business that has been going for years or you’re just starting in construction, business consulting may not be the first thing you think of when looking at how to build a successful construction business. However, it may be the smartest business decision you ever make. The right construction consultant can bring construction business tips and ideas for growing your construction business that you may have never thought of. It’s far from uncommon for people to need accounting help for a construction business. If you’re an expert builder, keeping track of dollars and cents is not necessarily your forte, nor should it have to be. However, a bookkeeping error can be the difference between success and failure in a construction business. In contrast, finding ways to streamline your accounting can do incredible things for your bottom line. Coachfirm has the financial experts to get your bookkeeping on track. There was a time when great construction work would speak for itself, but in the digital age and with rising competition, you need to be able to do more. Knowing how to advertise a construction business is critical. If your website isn’t performing or if you can do more with your social media pages, our experts can let you know and help you get the most out of your marketing efforts. 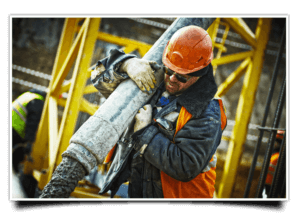 A construction team is only as strong as its weakest link, and how you deploy your people is an important factor in how successful your construction efforts can be. We can assess the strengths and weaknesses of all the members of your team and help you make sure you have everyone in the right place working the right job so that you can optimize your efforts. If you’re starting a new construction business, there may be challenges you have to face that you may not have anticipated, everything from finding the right vendors for your materials, to acquiring funding, to putting together the right construction team and finding the right ways to manage them. Coachfirm has the experienced personnel to help you with all of these issues. These are just a few of the many ways that Coachfirm can assess your business, help you grow and help you manage a lot of the concerns and issues that can sink a construction company before it reaches its true potential. We also help construction business owners nationwide through video or teleconferencing consultation. If you’re not doing everything you can to stay at the top of your game, you can bet your competitors are. We can give you the edge you need, with construction business tips, advice, motivation and analysis you won’t get anywhere else. Our team has experience in helping all manner of businesses succeed, but construction is one of our specialties. Our Project Management Coach spent ten years in the ownership and management of construction-related small businesses, seeing and solving countless small building construction issues. All told, our coaches and advisors have over 100 years of combined business experience that we can put at your disposal. If you’re still at all skeptical about what our consulting services can do for your construction business, we think we can start to change that with one phone call. That’s why we’re happy to offer you a consultation call for free. Contact us to schedule the call, and we’ll be in touch as soon as possible with some free insights into what we can do to make your construction business the best it can be. Get in touch with us now!